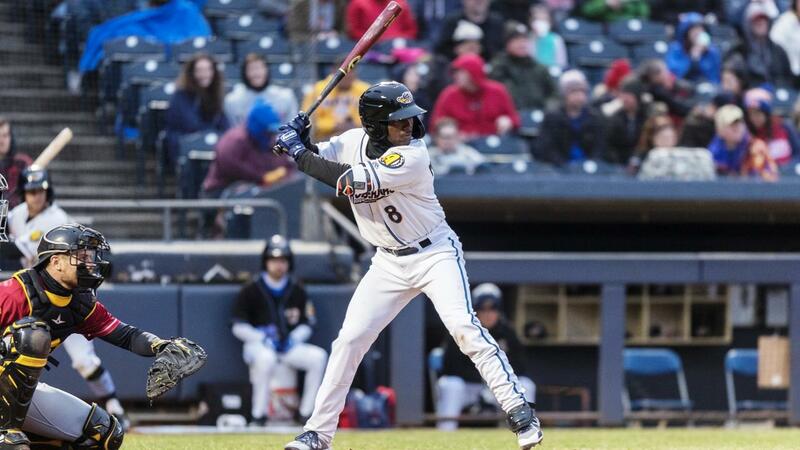 Trenton Thunder first baseman Chris Gittens' two-run home run in the top of the eighth inning rallied the Thunder from down 3-2 and helped it to a 4-3 win over the Akron RubberDucks on Monday at Canal Park. Entering the top of the eighth with Akron up 3-2, outfielder Ben Ruta led off the inning with a walk off RubberDucks' reliever Ben Krauth . After the next two batters were retired, Gittens' launched a 2-1 pitch into the Akron bullpen in right-centerfield to give Trenton a 4-3 win. Akron starter Tanner Tully made his first Double-A appearance since making three starts with the RubberDucks in 2017 and he threw six solid innings, allowing six hits, two runs, walking one and striking out six. Both runs came in the fourth inning when he allowed back-to-back one-out doubles to Brandon Wagner and Gittens to cut the score to 2-1 Akron. Two batters later, Jhalan Jackson doubled in Gittens to tie the game at 2-2. Krauth relieved Tully in the seventh inning and retired the side in order before running into trouble in the eighth inning when he allowed the lead-off walk and two-run home run. David Speer pitched a 1-2-3 ninth inning for Akron, fanning the final two batters. Trenton starter Garrett Whitlock went six innings, allowing eight hits, three runs (two earned), and striking out four. David Sosebee threw scoreless seventh and eighth innings to pickup his first win of the year. Daniel Alvarez quickly retired the Ducks in the ninth for his first save. The RubberDucks managed nine hits on the night, two each by Alexis Pantoja and Andruw Monasterio . Akron scored twice in the third inning when Pantoja and Monasterio led off with consecutive singles. Following a Tyler Krieger sacrifice bunt, Connor Marabell reached on an error, scoring Pantoja. Andrew Calica followed by hitting into a fielder's choice and beating out the potential double play, resulting in Monasterio's run, which put the Ducks up 2-0 at the time. The other Akron run came in the sixth to put them up 3-2 when Wilson Garcia slapped a double past the third baseman down the line to score Calica from first, who reached on an infield single. Time of game: 2:37… Attendance: 1,669…Monasterio had his third consecutive multi-hit game, going 2-for-4 with a run scored. He's now hitting .400 on the year…The RubberDucks have dropped its fifth straight to start the 2019 campaign, the longest losing streak to open a season since the franchise relocated to Northeast Ohio in 1989. The team had lost its first four to open the 1997 season. The RubberDucks play game six of the seven-game homestand and the second of three games against the Trenton Thunder on Tuesday at 6:35 p.m. RHP Sam Hentges will make his second start for Akron and RHP Nick Nelson will start for the Thunder. The game will be broadcast on Fox Sports 1350 AM, the WARF iHeart channel, and the TuneIn Radio App.